Suffolk County police said they are looking for two men who used $700 in counterfeit bills to buy merchandise at the Gucci shop at the Saks Fifth Avenue store at Walt Whitman Shops. 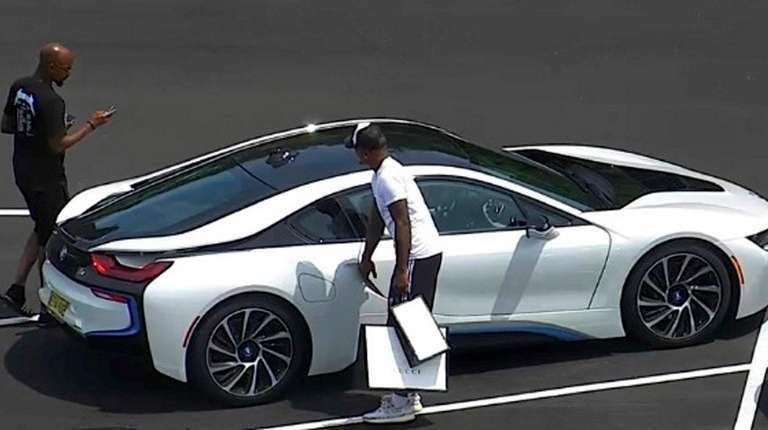 The two men left the Huntington Station mall in a white BMW i8 after using the phony bills about 1:10 p.m. on July 29, police said. Anyone with information about the two men was asked to call Crime Stoppers at 800-220-8477. A reward of up to $5,000 is available for information leading to an arrest, police said.